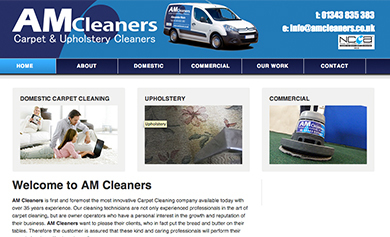 "AM Cleaners is first and foremost the most innovative Carpet Cleaning company available today with over 35 years experience. Our cleaning technicians are not only experienced professionals in the art of carpet cleaning, but are owner operators who have a personal interest in the growth and reputation of their business. AM Cleaners want to please their clients, who in fact put the bread and butter on their tables. Therefore the customer is assured that these kind and caring professionals will perform their carpet cleaning with utmost excellence...."